Actress Han Ye Seul returns with her new drama 'Children of the 20th Century' which talks about the three modern women in their 30's can't seem to figure out why they are still single. Realising that life is not all about their search for love, they started to learn about friendship and family warmth. What is the charm to this drama compared to the numerous romantic comedies that you have starred in before? With Children of the 20th Century, there are friendships between girls of a similar age. It’s a trifling but warm and happy friendship that could exist in real life. Unlike the romantic comedies I’ve done before, this one is more calm and real, reminiscing the memories and the stories of people who have lived through the 90s. I think this will be a good opportunity for me if I can deliver the emotion and fun I had while acting to the viewers. Of course, you cannot neglect the romantic aspect in a romantic comedy; I hope you guys will look forward to the developing relationship between myself, Kim Ji-suk and Lee Sang-woo. Are there any pressures in filming 4 consecutive episodes for airing? 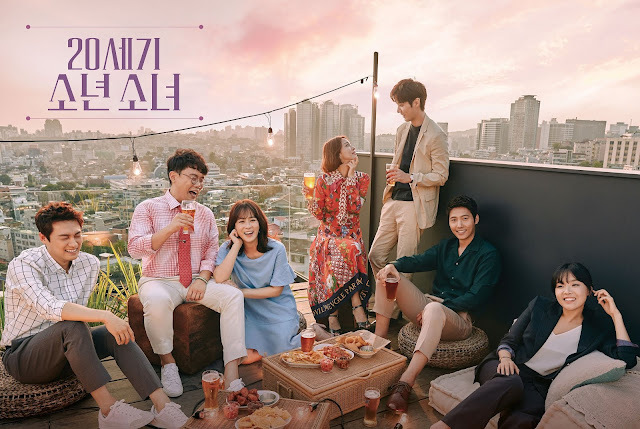 I think it is good in a way as the story does not get interrupted and the viewers can get addicted to the drama by binge-watching four episodes in a row. How do you think this drama differentiates itself from the other romance dramas that are currently being aired? What differentiates our drama against our competitors is that the chemistry that the cast share with one another is unmatched. You cannot ignore that chemistry and I think people will be able to feel it through the television. That is what’s most important. Your friend Jung Ryeo-won is currently starring in another romantic drama that airs at the same time as Children of the 20th Century. Have you guys talked about this and how do you think this will affect each other’s ratings? While there are good aspects that actors can take from each drama they film, there are aspects of every drama that viewers can also experience. I hope that fans will remember this as a heart-warming one. 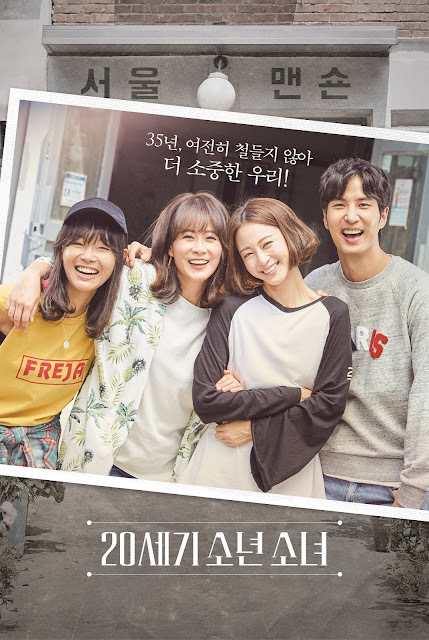 Drama 'Children of the 20th Century' premieres on 10 October with 4 back-to-back episodes on Oh!K (Astro Ch 394) within 24hours of Korean telecast. New episodes will be aired on Oh!K every Tuesday and Wednesday at 7.50pm.